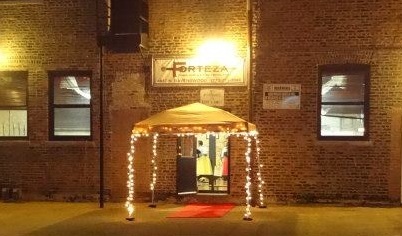 The music has gone quiet, the lights have dimmed, and the Founders’ Ball is over. 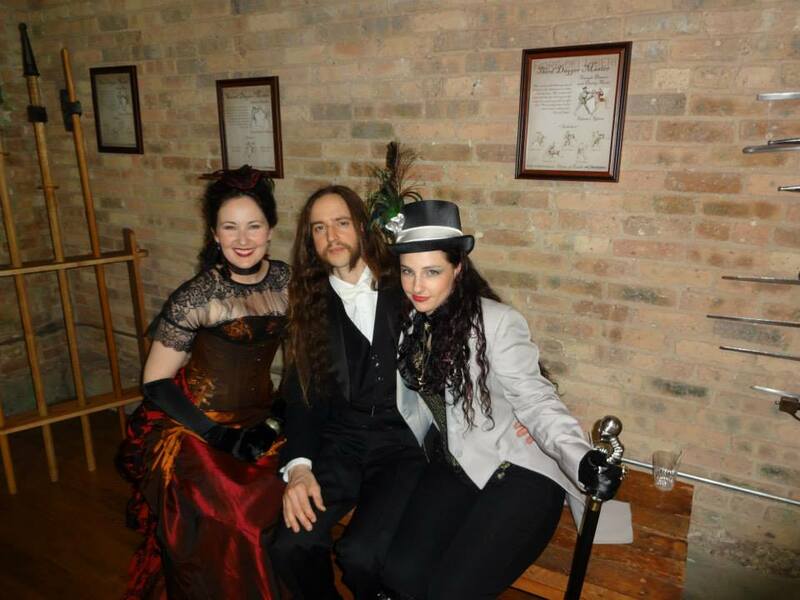 As Edwardian-martial arts researcher, gymuseum curator, and bartitsu instructor Tony Wolf explained to Saturday night’s attendees, Forteza was inspired as a fusion of two, bygone institutions: the antiquarian arms and armour society of the Kernoozer’s Club and perhaps the first fitness-martial arts gymnasium, the Bartitsu Club, which between them had also led the first attempts to reconstruct the forgotten martial arts of Renaissance Europe. 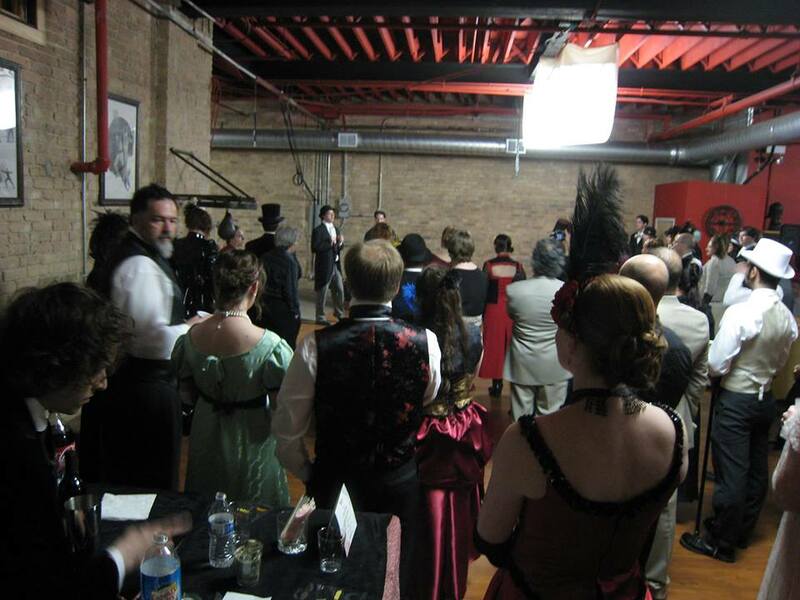 So, for one night a window to another time opened, and the studio filled with finely-dressed ladies, escorted by gentlemen of quality (although it is said a rapscallion or two were spotted, as well!) as we celebrated our one year anniversary. The Lounge is not quite done – a new ceiling is in the offing and there are more appointments and furniture to come – but we think that those who were at the ribbon-cutting this weekend got a feel for what it will be in its full flower. Although we woke up exhausted Sunday morning, it was clear that the Ball was an unqualified success. Many, many times over the evening, we were told “you guys throw a great party”, and while that is appreciated, it must be clear that the “we” was far more than Keith and Greg, who in the end just OK’d ideas and cut checks. The heart and mind of the Founders Ball (aka as “the Hand”) was Dawn Marcotte, who brought her immense organization skills, energy, cleverness and ability to be simultaneously classy and quirky to create a wonderful event that helped match our Donald Trump ambitions to our Donald Duck budget. Dawn put together an amazing team of ladies, including Rebecca Smith-Cruz, Erin Fitzgerald and Heather Hilchey, who lent their talents to create beautiful invitations, table decorations, gnome hats (you had to be there) and other little attentions to detail that exceeded all of our expectations. As the day drew near, Dawn was also ably assisted by the “Hand of the Hand”, Patricia Murman, who helped coordinate logistics, organize staff and make sure that the construction was done and the space ready to go as the ball drew near. This team of ladies proved that Forteza is blessed with a crew of train hard, fight hard women, but creative, stylish and “get things done” ones as well! 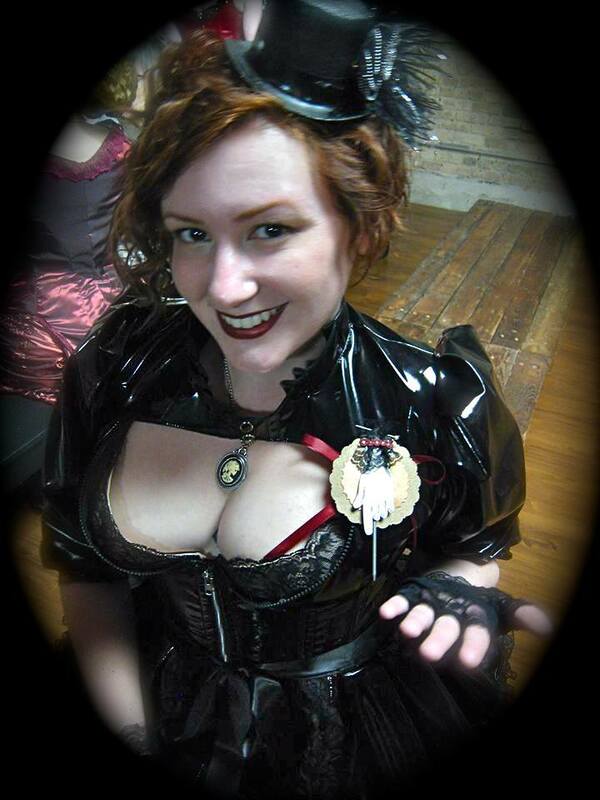 The Mistress of the Ball, sporting her badge as “Hand of the Dean”. Our construction foreman and “man-of-a-thousand-tasks” Treyson Ptak once again spent a little life-blood and a good chunk of his soul getting the lounge floored, painted and ready to go, assisted by Jesse Kulla. Husband-of-the-Hand Jacques Marcotte and Jonathon Cruz served the all-important task of bartenders and “ministers of merriment”, and kept spirits high, just in time for the evening’s entertainment. 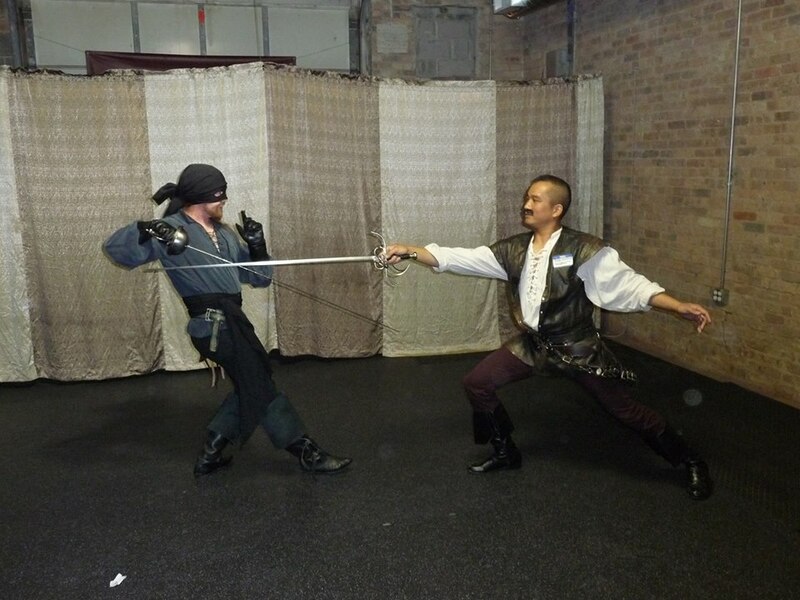 We had promised “an exhibition of swordplay”, and no doubt, considering what we do at Forteza, folks were anticipating yet another martial arts demo. But since the studio is blessed with a cadre of actors, fight directors and stunt folks, we thought it might be more fun to honor Capt. Hutton with a little theatre, in this case a small vignette called “The Cliffs of Insanity, Or: The Princess Bride, Reduced to One Really Good Scene with Lots of Action, and None of that Kissing Stuff.” Libby Beyreis stepped in to direct and Trey Ptak (Man in Black), Victor Bayona (Inigo Montoya), Joe Rutugliano (Vizzini), John O’Meara (the Grandfather) and Dave Carlin (the Kid) took on their roles with great gusto, and some delightful improvisational flourishes that delighted our guests. Don’t know who that man in black was? Get used to disappointment! It was a magical night, and it was a shame to see it end – though had it lasted much longer, the crew would probably have fallen asleep standing up. But it was all of you who have come to class, turned up to train, run races, attended seminars, or just talked about Forteza on Facebook and with friends who made it possible. Truth be told, you can only plan so far how to launch a venture like this and build it into a sustainable dream – it’s working because of the passion, trust and enthusiasm you bring every time you step through the studio’s door. It has been our honor to build this home with your help. 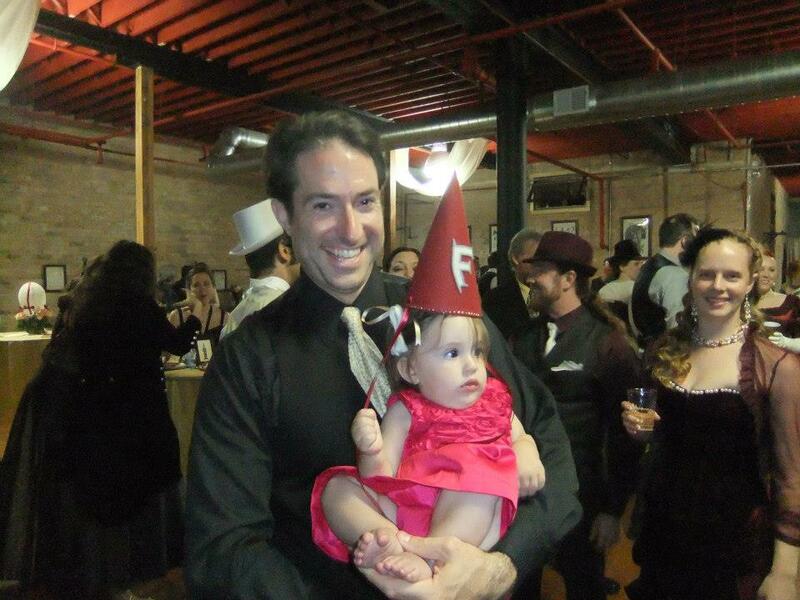 Forteza Mascot Baby Rose does her best gnome impression. Rosie pronounced the ball a great success!